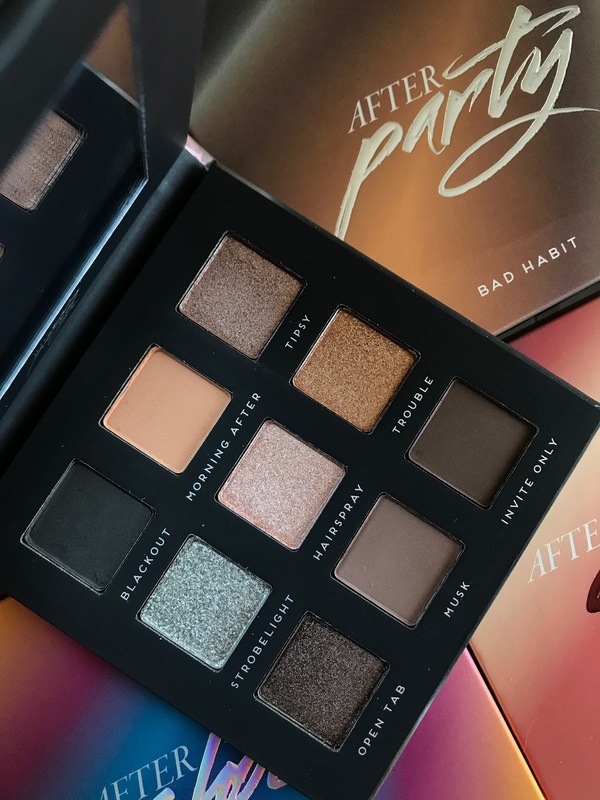 I'm excited to bring you swatches of the Bad Habit After Party Palette, part of the After Collection from Shop Hush, which is supposed to be a more affordable dupe of the Huda Beauty Smokey Obsessions Palette. 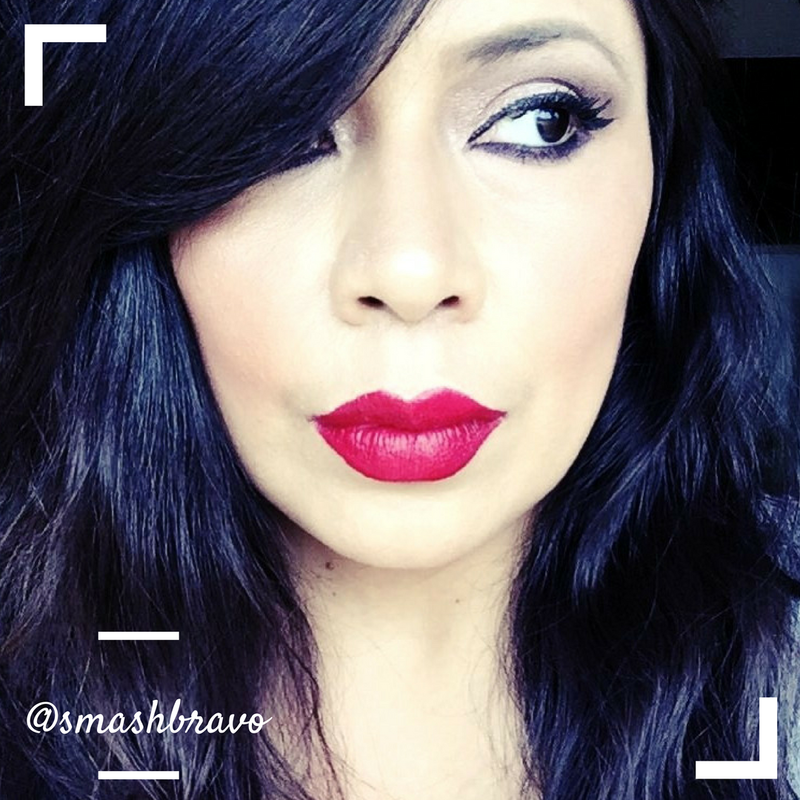 My review of Smokey Obsessions is not up yet, I got it at launch but didn't start using it until recently. So - I do plan to put a review of that palette up this week as well as some comparison swatches of both palettes, but for now I wanted to share the swatches of this beauty. I didn't get a lot of before pictures of the After Party Palette, but as you can see, it's gorgeous. I love a smokey eye more than anything and this color scheme talks to me so much. 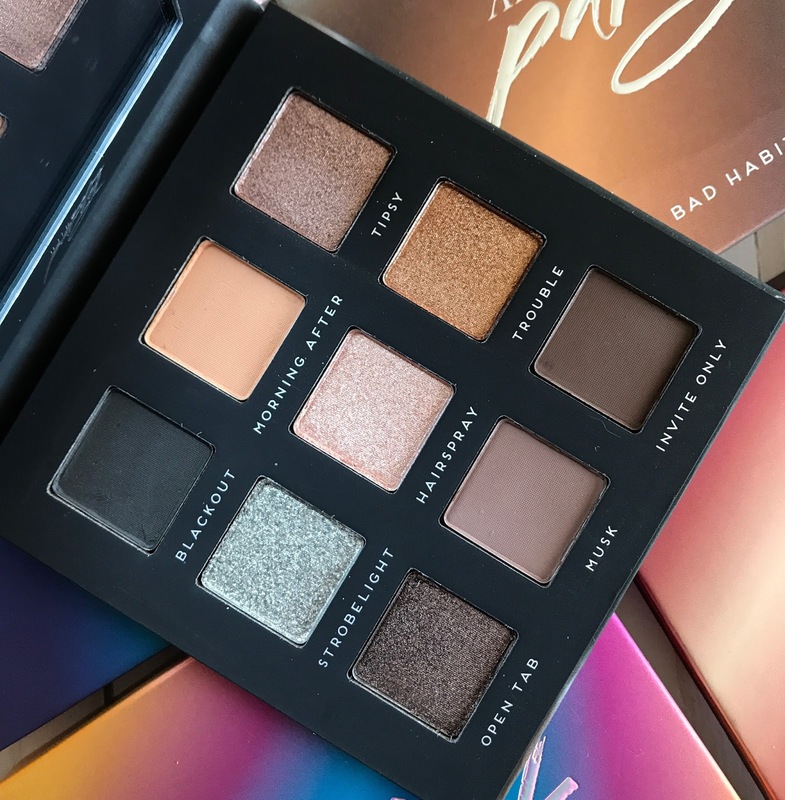 The Huda Beauty Smokey Obsessions Palette is an absolute dream to work with and I hope that this After Party palette will also do well. I will be back later to update this post into a full review, and keep a look out for the comparison shots as well. 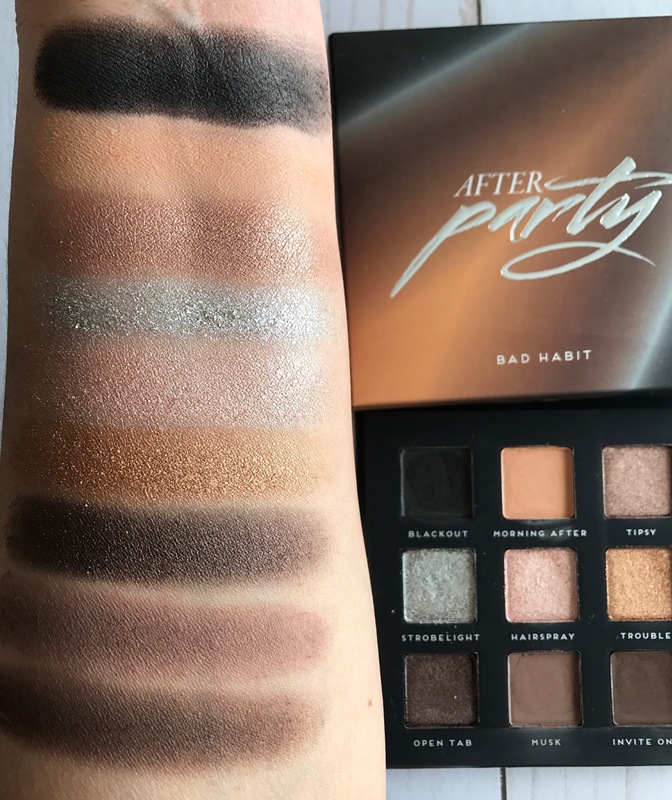 For now, here are swatches of the Bad Habit After Party Palette. I'm pretty stoked about these swatches. Even Blackout, which looks more gray in the pan, is really nicely pigmented. It is a little dry but the same can be said about the black shade in Smokey Obsessions. Overall I only found the silver shade to be flaky and a bit dry, but again, the silver shade in the Smokey Obsessions is similar. Maybe it has to do with the shade and ingredients. I'm pretty excited about trying this palette out this week - I am in love with the Huda version and will be super stoked if After Party is at least half as good. The Huda Smokey Obsessions Palette is $27 while After party is only $10, so I am not expecting them to be the same, but I am hoping that this is a good dupe, at a more affordable price. I will be back to update this post once I have my review ready. I also have posts coming for the other three palettes in this collection. Find the After Collection palettes at Shop Hush for $10 a piece or $30 for the bundle. They might be currently sold out but Shop Hush is really good about re-stocking quickly.